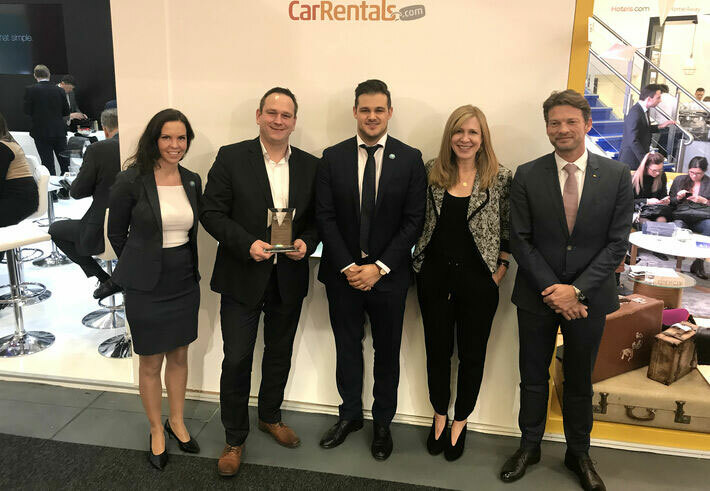 Earlier this week at ITB in Berlin, Europe’s largest travel trade show, we had the pleasure of presenting our annual Partner Awards to this year’s winners from the EMEA region. The awards celebrate the very best creativity and achievement in travel marketing from the last 12 months, honoring some of the most innovative and high performing campaigns. This year we are pleased to recognize the following successes. 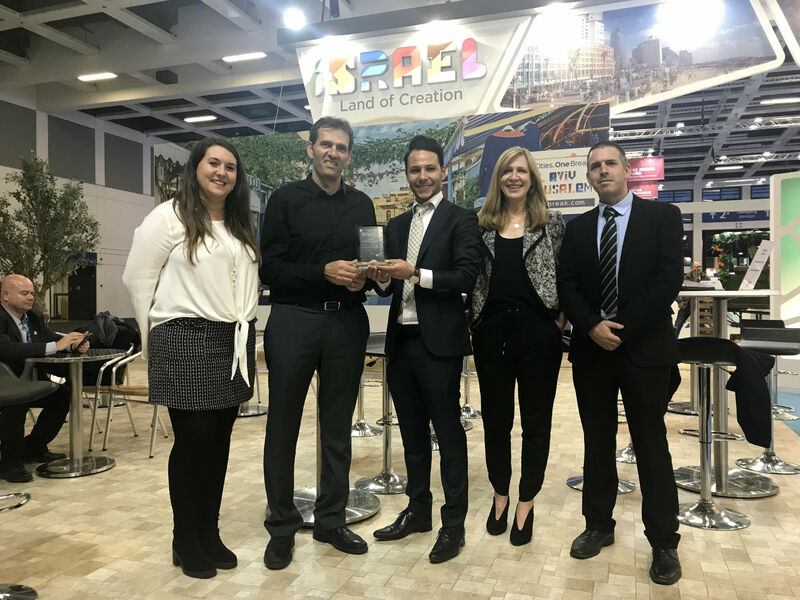 Last year we worked with the Israel Ministry of Tourism to develop a multi-media campaign that greatly enhanced Israel’s positioning as a secure and attractive tourism destination, offering varied and easily accessible vacation experiences. The campaign utilized display advertisements and our audience extension product, PassportAds, and resulted in a nearly 35 percent year-over-year growth in passenger demand and generated broader awareness for the destination. Following success of the initial partnership, the campaign will be expanded to more than 20 countries in 2018, and will inspire travelers around the world to visit this dynamic destination. 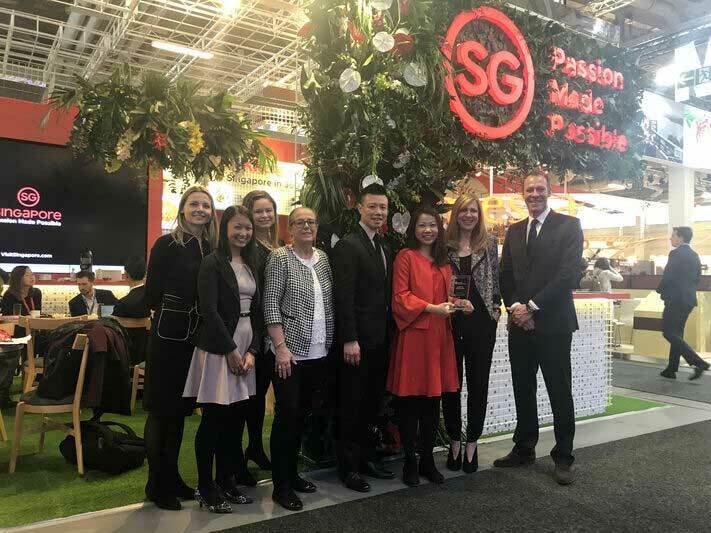 The Singapore Tourism Board was looking to change the perception of Singapore as a stopover destination for European travelers, increase bookings and promote its new branding, logo and tagline 'Passion Made Possible'. The campaign concept was delivered by our in-house creative agency, the Creative Partnerships team, and offered an inspiration platform, showcasing this new brand identity, where users could align themselves to a ‘tribe’ and be presented with a rich day-by-day itinerary aligned to their travel style, full of bookable tours and activities. The campaign used an innovate targeting strategy to push different messaging according to how much of the broader campaign the user had been exposed to. Activity also focused heavily on social media, using new-to-market social media products including carousels and canvas unites on Facebook and Instagram to broaden the reach, drive awareness and encourage clicks to the brand ambassador content on the site. 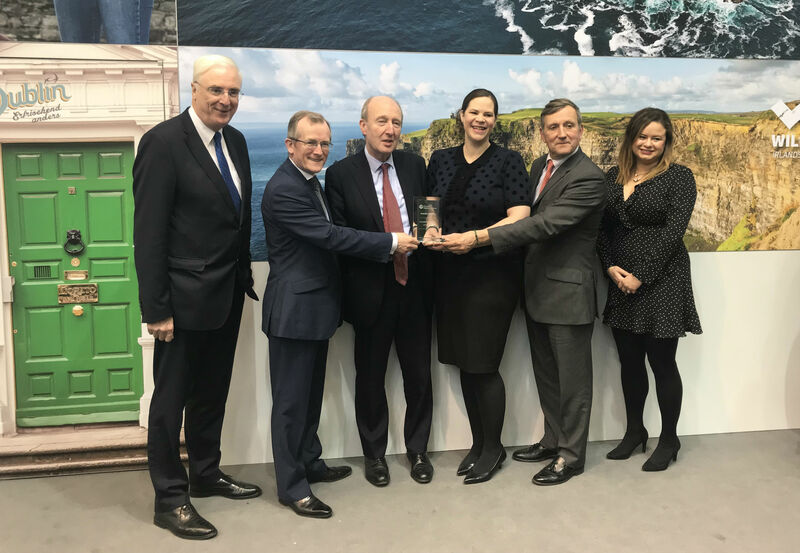 With the goal of increasing passenger and room night demand to Dublin during Ireland’s shoulder season, Tourism Ireland worked with us on a cooperative campaign, which for the first time, had campaigns running simultaneously in the U.S., Great Britain and key European target markets. The global campaign ran for six weeks from the end of September to the end of October 2017 and leveraged display ads, homepage takeovers, PassportAds, merchandise and dedicated emails, native tiles and expandable video. The multi-faceted campaign was a great success, resulting in significant double digit increases in passenger and room night demand across all markets during the campaign period, and importantly, grew Dublin’s share versus key competitor cities in Britain and Northern Europe. Condor is a German leisure airline based in Frankfurt, operating flights to destinations in the Mediterranean, Asia, Africa, North America, South America and the Caribbean. We worked with Condor for the first time in 2017, when they ran a number of highly successful display campaigns. 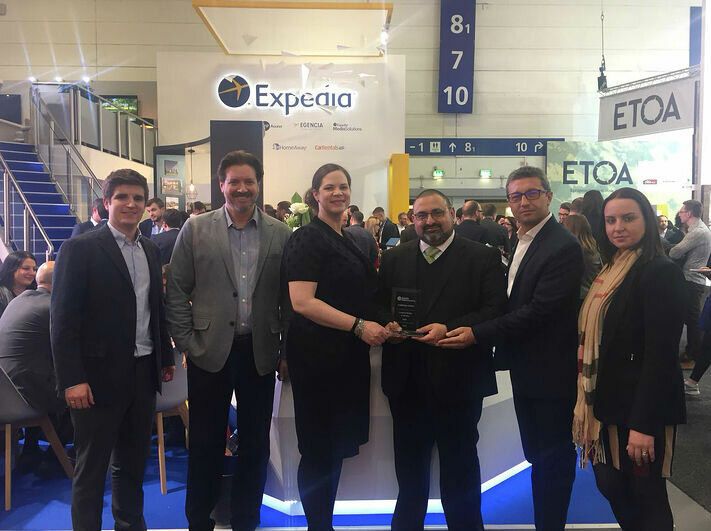 Corinthia Hotels is a longstanding partner of ours in the region and this award recognises the continuously high levels of commitment it showed to utilizing TravelAds as a part of their strategy in 2017. Investment has more than doubled in the last two years and this has allowed Corinthia Hotels to grow clicked gross booking by over 40 percent within EMEA, year-over-year. The partnership has added value to both organisations and will continue to grow in 2018. We were thrilled to celebrate these campaigns with some of our partners at ITB this past week. We work with a wide range of brands spanning travel and non-travel sectors and will continue to innovate and drive digital travel marketing forward with these partners throughout the coming year. You can stay up to date on our latest news, research and case studies by signing up using the subscribe form above, or following us on LinkedIn and Twitter. As senior director for the Europe, Middle East and Africa region at Expedia Group Media Solutions, Andrew van der Feltz drives business development and sales for the growing display advertising space. His team works closely with agencies, destination marketing organizations, hotel and airline partners in the region. Prior to joining Expedia, Andy was the Director of Business Development & Operations at the Netherlands Board of Tourism & Conventions (NBTC) since April 2011. Prior to this, he also worked at NBTC in the London office as country manager for the UK and Ireland. He started his career at NBTC as marketing manager, after his role as an international marketing manager at VisitScotland. Andy studied Marketing and French in Scotland, continued his postdoc education at the Institute of Marketing in Edinburgh, and attended the Executive Educational Programme in General Management at the London Business School.